In 1609, the British Sea Venture was headed for Jamestown, Virginia when a storm blew it off course. Shipwrecked some 650 miles east of Cape Hatteras, North Carolina, its crew encountered an uninhabited island surrounded by turquoise waters. Just a few years later, this island became the British territory we now know as Bermuda. 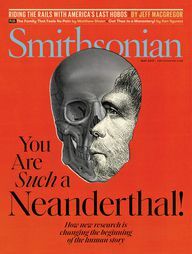 In the centuries that followed, slaves from the West Indies and West Africa, Native Americans and Portuguese immigrants arrived, resulting in an eclectic swirl of cultures. What sets Bermuda apart, aside from the fact that it is a short 90-minute, non-stop flight from New York City, is the warmth, pride and diversity of its 65,000 residents. Its myriad of cultural influences is reflected in everything from historic buildings to food, and today Bermudian storytellers are finding new and creative ways to bring this history alive. 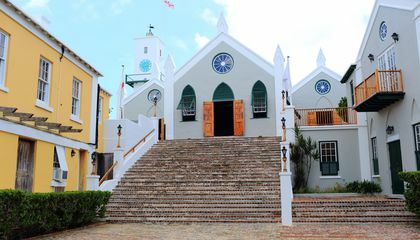 From guided bicycle tours and tours introducing you to characters from the past in St. George’s, a UNESCO World Heritage Site, to walking tours with the town crier along the waterfront and through the backstreets of Hamilton, the capital of Bermuda, here are six ways to dive into Bermuda’s rich heritage. Steps lead up to the entrance of St. Peter's Church in St. George's. 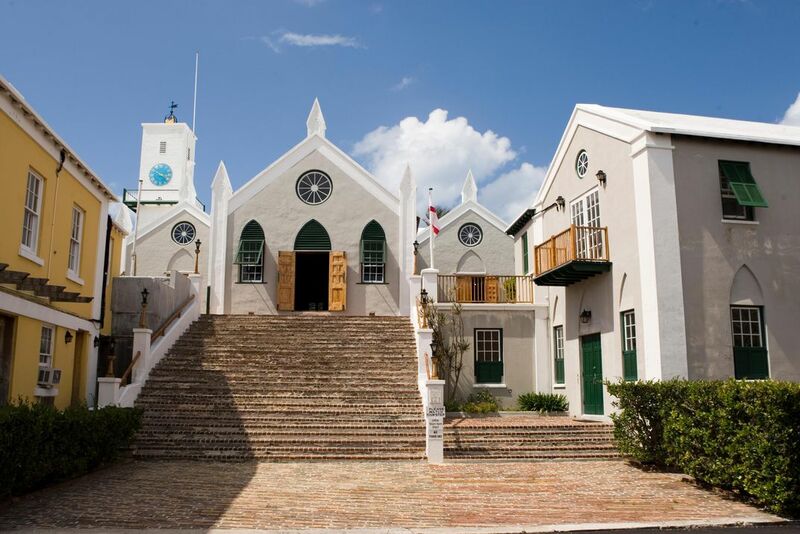 With its cobblestone streets and winding alleys, St. George’s looks much as it did back in the 17th century and 18th centuries. Bermuda’s first capital, the 400-year-old town is steeped in history, and resident Kristin White’s Haunted History Tour brings this past to life—quite literally. Each week after sundown, tour guides dressed in top hats and capes lead visitors through the streets of St. George’s by lantern light. Along the way, the reincarnations of long-dead locals leap out unexpectedly—in full period costume—to tell their stories. This thrill-inducing, hour-long tour begins outside of Kristin's bookstore, Long Story Short, in the cellar of historic Tucker House and concludes at the graveyard attached to St. Peter’s Church. At Tucker House, learn about Colonel Henry Tucker who, sympathetic with Americans’ fight for independence during the Revolutionary War, hatched a plan with Benjamin Franklin to roll 100 barrels of gunpowder from St. George’s to two American schooners anchored at Tobacco Bay. During the tour, Joseph Rainey appears out of the night to share how he, a slave in the American South, purchased his freedom and sailed to Bermuda, opening a barber shop. Following the Civil War, Rainey returned to the States and became the first African American elected to the U.S. House of Representatives. Though the tour is spooky and fun, Kristin takes her storytelling dead seriously. 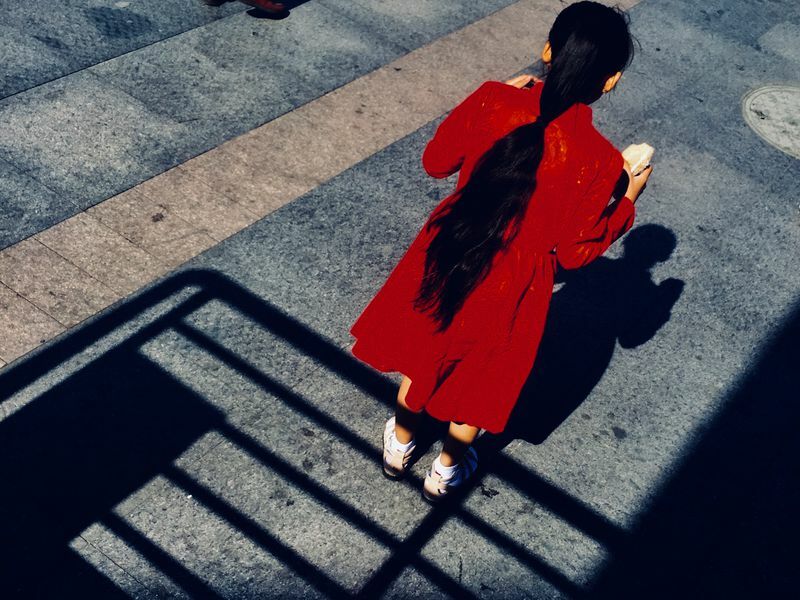 “I think from a historic standpoint there are parts of our history that we tend to gloss over because it’s the shameful and hard part of our history and our racial segregation and oppression, but I feel it’s important to tell all the stories,” she says. While routes change throughout the year, St. Peter's Church and graveyard is always a stop. 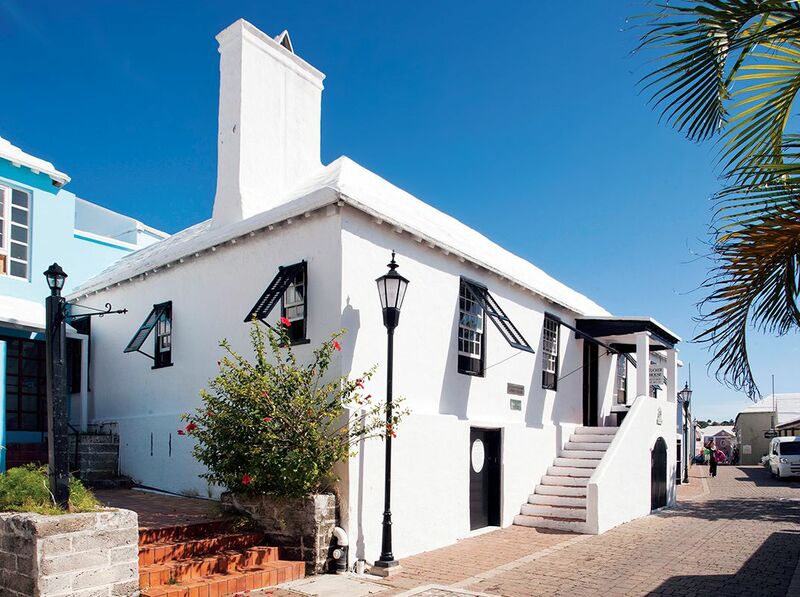 "It is Bermuda's most historic attraction, dating back to 1612. The cemetery for slaves and free blacks, as well as the register of black people baptized [in the church], provide us with important looks at Bermuda's history of slavery and segregation, and as a descendant of slaves, provides me with a connection to my ancestors," Kristin says. The impact of Bermuda’s hidden histories can be found everywhere on the island, and when Kristin’s not recounting these tales over lantern light, she’s showing visitors and residents where to find vestiges of Bermuda’s past in the everyday—especially at mealtime. During the day, she leads a three-hour food and history bike tour, which she caters to each visitor. “What’s unique about Bermuda is that it is a melting pot of a lot of different cultures and our food reflects that,” she says. “That’s why I love incorporating the food with the stories…it brings it all to life.” From Portuguese dishes such as red bean soup and chouriço (sausage) to fishcakes rooted in English tradition and a Dark ’n Stormy cheesecake influenced by the flavors of Bermuda’s most famous cocktail, Kristin always showcases the full range of flavors that make up Bermuda’s cuisine. Tucker House in St. George's is one stop along the African Diaspora Trail. Close to sixty percent of Bermudians are of African descent, many the children of slaves brought to the island from the West Indies and West Africa. Stretching from one end of the island to the other, the African Diaspora Trail documents this ancestry and heritage. Each monument and museum, inscribed with a plaque and UNESCO Slave Route Project designation, brings to life voices from Bermuda’s past. At Royal Naval Dockyard in the West End, the National Museum of Bermuda displays artifacts and first-person narratives documenting 200 years of slavery from 1612 to emancipation in 1834. To the south in Warwick is Cobb’s Hill Methodist Church, built in 1827 by free blacks and slaves at night in their spare time. Stops in the center of the island include Barr’s Bay Park in Hamilton, where in 1835 a schooner bearing slaves and headed for South Carolina anchored due to a strong gale. Because Bermuda had abolished slavery in the previous year, a group known as the “Friendly Society” took the captain to court, and almost all of the 78 slaves on board accepted the offer of freedom in Bermuda over passage to the United States. Sites in St. George’s include many that Kristin White covers on her tours, such as the Tucker House Museum and St. Peter’s Church. Though not officially on the trail, a plaque at School Lands Cottages in Pembroke issued in 2018 marks the place where Mary Prince (1788-1833), a Bermudian slave who published a seminal account of the brutalities of slavery in 1831, once lived. Her book, The History of Mary Prince, shares powerful details from her life, such as the memory of being separated from her mother. The only published first-hand narrative of a slave in Bermuda and the first slave narrative published by a black woman in the U.K., Prince’s story had a large effect on the international anti-slavery movement in the following years. The history of farming and agriculture in Bermuda is inextricably linked to Portuguese immigrants. Following Bermuda's 1834 Emancipation Act abolishing slavery, opportunity for agricultural work was abundant, and in the 1840s Governor William Reid launched a series of initiatives—among them a ploughing competition known as the Agricultural Exhibition—to revive interest in farming. Beginning in 1849, Portuguese immigrants fleeing famine and a post-civil-war climate in Madeira arrived in Bermuda as farm laborers, the 170th anniversary of which will be celebrated as a national public holiday this November. Many descendants of these first immigrants, as well as later arrivals from the Azores, are still involved in the industry today, and their stories are woven into that of the annual Agriculture Show, which celebrates its 80th year in April. Taking place over three days in the Botanical Gardens, the Ag Show, as locals like to call it, receives more than 25,000 visitors and features more than 4,000 exhibitors. While the show originally focused on showcasing livestock and farm produce, today it has evolved into a broad celebration of Bermudian culture featuring horticulture, equestrian events, arts and crafts and food as well in a carnival-like atmosphere. 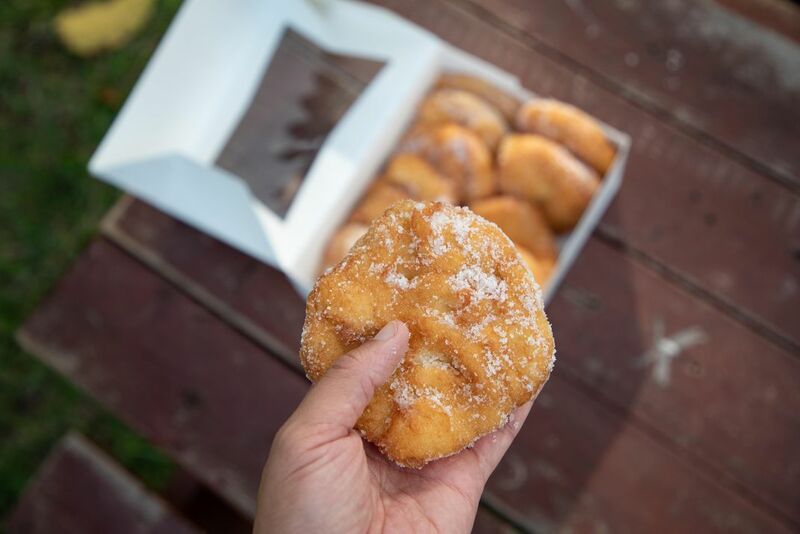 Attendees can sample everything from malassadas (fried Portuguese doughnuts coated with sugar or cinnamon) to fish sandwiches, try their hand at traditional Bermuda kite-making and see the results of competitions ranging from best Bermuda-bred pony to best hibiscus to best horse-drawn-carriage ride. "In my humble opinion, no event on the community calendar here in Bermuda truly reflects the mosaic that makes up Bermuda more than the Ag Show," says Jeff Sousa, Ag Show organizer and a proud Bermudian of Portuguese descent. "Generations of our people have gone there and have truly enjoyed it. You will see on display our lovely produce and flowers that remind us all of the very strong agricultural past we had. There was a time many years ago when you had Portuguese farmers competing in the main ring to see whose horse could plough the best, and today their great grandchildren are competing on top show horses bought in from around the world in jumping classes. It is truly something for all Bermudians of Portuguese descent to smile about, especially this year when we are celebrating the first Portuguese coming to Bermuda on the Golden Rule to farm 170 years ago. Over all the years of the Ag Show, Bermudians of Portuguese descent have had a very strong involvement with entering everything from horses to cows, goats, poultry and of course vegetables." On the fifth weekend following Easter, Bermudian Catholics of Azorean descent take to the streets of Hamilton to celebrate Senhor Santo Cristo dos Milagres Festa, or Lord Holy Christ of Miracles Festival. 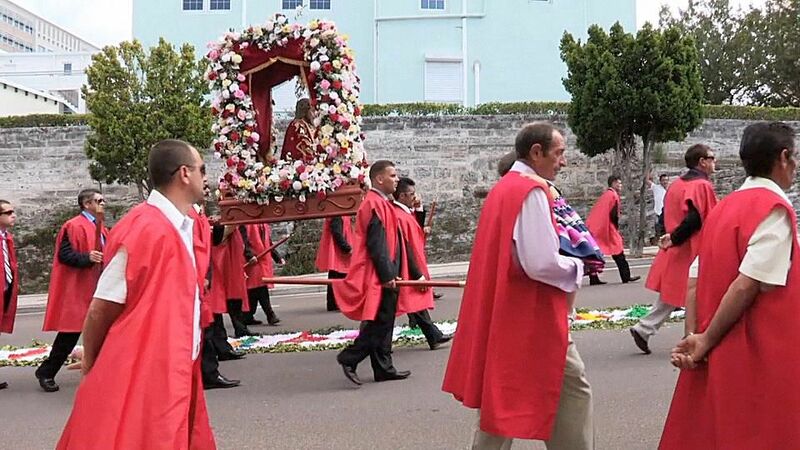 Following mass at St. Theresa’s Cathedral, a procession carries a statue of Jesus Christ along a carpet of flowers to the Bermuda Athletic Association field. According to Milton Raposo, a Portuguese-Bermudian filmmaker who is releasing a documentary about Portuguese heritage in Bermuda this fall, Catholicism is one of the most significant ways in which Portuguese Bermudians stay in touch with Azorean traditions, and Bermuda’s Lord Holy Christ of Miracles Festival is a “mirror image” of the procession in the Azores. Originally held in St. Theresa’s Cathedral when it started in 1976, the festival developed into a city-wide event beginning in the mid 1990s. Following the procession, a two-day celebration including folkloric dances and entertainment from Portuguese musicians takes place for the enjoyment of all. Hamilton town crier Ed Christopher meets his walking tour guests outside of City Hall. Traditionally, the role of a town crier in England was to serve as the right hand of the monarchy. If the monarchy needed to make an announcement, the crier would head to the public square and cry out the decree. Today, Ed Christopher, who stepped into the newly created role of Hamilton town crier ahead of a visit by the Queen several decades ago, follows suit. Carrying his bell and dressed in official uniform, you’re guaranteed to find him at almost any major event in the city. And if you join him on one of his walking tours through Bermuda’s capital city, you’ll enjoy his celebrity status. Wherever you go, people stop to greet him. “I try to explain that 90% of the time you hear a horn blowing, it’s not to get out of your vehicle or move or anything, it’s a greeting,” he says with a laugh. 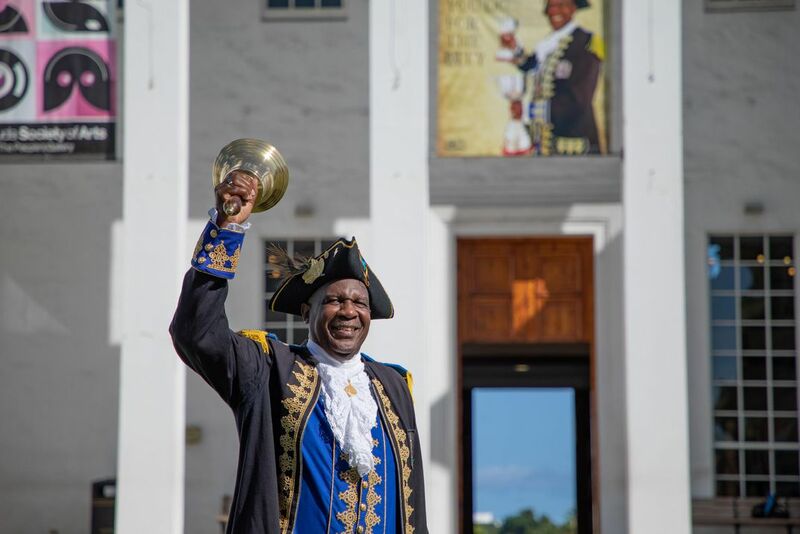 However, growing up as a Bermudian of African descent, Ed never thought that he could step foot in City Hall let alone be the town crier. His uniform reflects this story: Though he kept a traditional design, Ed added a black coat to his ensemble in a nod to his ancestors. While none of his walking tours are the same, Ed always makes sure to highlight sides of Hamilton that weren’t always celebrated. In addition to showing visitors some of Hamilton’s main attractions, such as iconic Front Street with its harbor-facing pastel storefronts, Ed takes visitors through the residential and historically black area of Hamilton known as the “backatawn,” where locals often invite him and his tours into their homes for a drink of water or a Dark n’ Stormy. Near City Hall, he often points to a statue commemorating the 1959 Theater Boycott, during which Bermudians of color and allies boycotted segregation in movie theaters and which he cites as a pivotal moment in kickstarting Bermuda’s “racial connectivity.” Along the way, Ed points out businesses representing the town's diverse heritage. “You have all the different cultural restaurants and different cultural foods," he explains. “[Hamilton] is the center of it all. It’s the hub of Bermuda, and you experience all of that within an hour of just walking around." Taking place in the Botanical Gardens each fall, the Bermuda International Gombey Festival is attended by Bermudians far and wide. Originating in slave communities as a way of telling stories, Gombey dancing blends African, British, Native American, English and Caribbean influences and has evolved into a quintessentially Bermudian and UNESCO-recognized tradition. On Saturday evening of the three-day festival, the island's six Gombey troupes gather to perform scenes to the tune of bells, whistles and British military drums. Many of the performances, such as Daniel in the Lion's Den, are biblical in nature, and all involve an exhilarating give-and-take between a "captain" and "crowd" of dancers. 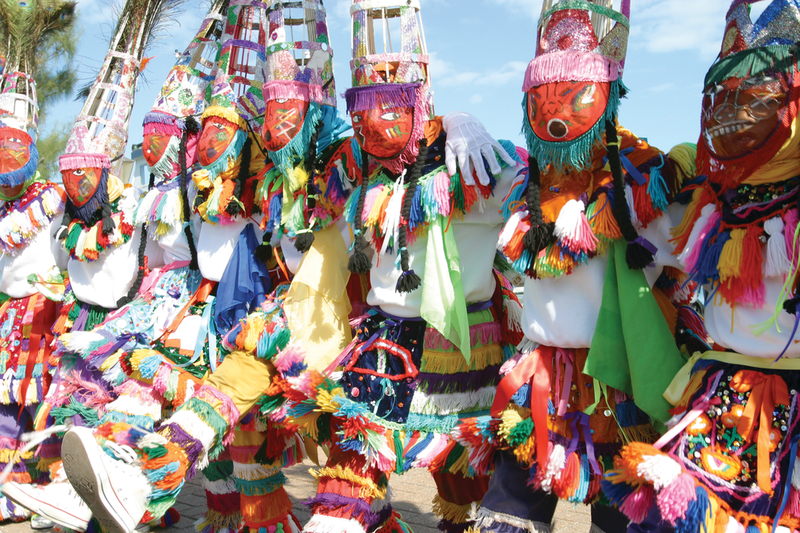 The Gombeys' wildly colorful costumes are adorned with hundreds of tassels and mirrors and paired with peacock feather headdresses and painted masks, which have roots in Caribbean masquerade tradition. Part of the allure of the Gombey Festival is that the Gombey performances tell the story of Bermuda, says Carlita Lodge, Cultural Affairs Programme Manager for Bermuda's Department of Community and Cultural Affairs: "I think that the Gombey Festival has always been popular because Gombeys are colorful and the music is infectious, but beyond that I think that there is a growing appetite to recognize that this isn’t just performance, that it comes from a difficult history and that it is a reminder of freedom and rebellion. When people talk about the Gombeys sometimes some of the important nuance is lost. They just say ‘the Gombeys are performing’, but really the magic is seeing that, in the six present groups, each of them brings something dynamic and special and individual to their performance." In 2017, the festival became known as the Bermuda International Gombey Festival in recognition of the Gombey tradition's many influences. Beyond Saturday night's performances, visitors can now attend performances by international groups as well as speeches by academics from around the world on topics related to identity, culture and the African diaspora. Last year, guest performers included masqueraders from St. Kitts, a shortknee band from Grenada and stilt walker from St. Croix, all of whom collaborated with the Gombeys for a joint finale performance. The different Gombey troupes also set up stands to sell keepsakes, which range from miniature Gombey dolls to miniature hatchets (a prop commonly used in performances) and paintings. Outside of the annual festival, Gombeys perform on Boxing Day and New Year's Day in their traditional march through neighborhoods as well as weekly at Harbour Nights, a seasonal street festival that closes down Front Street in Hamilton on Wednesday evenings from April through September, on Saturdays in Queen Elizabeth Park and during the Bermuda Day celebration at the end of May.